We all want our home to have the best facilities and gadgets to give us the best quality of life in the home, but everything costs money, and the general rule is that the fancier the upgrade, the higher the cost. That being said, some home improvements can save enough money to actually pay for themselves over enough time. Because of the high upfront cost, you will still need some capital to do most of these things, but let’s have a look at which ones can pay for themselves, and if so, how long they take to do so. Solar panels are probably the most expensive and the most high tech form of home improvement that claims to save you money. Panels can cost between six and ten thousand pounds, depending on the size, but people generally see a return on investment in around ten years. For that reason, there is really no point getting them unless you’re very sure that you will last longer than they do. Free solar panels are an option, although you pay back on that investment over a very long time- up to twenty five years- and in that time you only get the energy savings, not the return cash from the sale of electricity. Cavity wall and roof insulation is probably the cheapest form of improvement on the list, and can be done for a couple of thousand pounds. It’s pretty hard to quantify how much of a return on investment you’ll receive from doing it, but it’s also the most noticeable physically. If you’ve lived in a house without cavity wall and roof insulation before, you’ll notice how quickly the heat leaves once it’s been turned off. According to the EcoGain Windows page on www.anglianhome.co.uk, replacing an average-sized three bedroom house from single glazed windows to their double glazed EcoGain windows can give an annual saving of between £150 and £300, depending on the original windows. Considering that you can spend up to £2000, it has a similar return in investment time of solar panels at around ten years. Although it may not be worth investing in solar panels if you’re there for a shorter amount of time, you have to consider that new windows and doors will increase the value of the house by up to £1000 and possibly even more. Therefore, it may not be a bad idea to invest in double glazing windows anyway to ensure you have the best time while you’re there. I loved your section of solar panels . It is true that you will see your profit after some years … But according to me its the best way to save energy and to save our world and environment. Rendering an old brick home and new carpet is a great way to give the home a facelift and can be done in an inexpensive manner. I was thinking about getting solar panels and trying to save a little via that route. My friend is getting some installed and was telling me all about them. I will be waiting until after the summer to see what they have told him is correct or if they were blowing smoke up his behind. Thanks for these great tips you discussed here! Thanks for the list. The solar panels seem like such a long time to wait to see a positive ROI. Saving money aside, I guess using these tips would be more environmentally friendly anyway. Thank you Jen. Well, it depends on the work done. 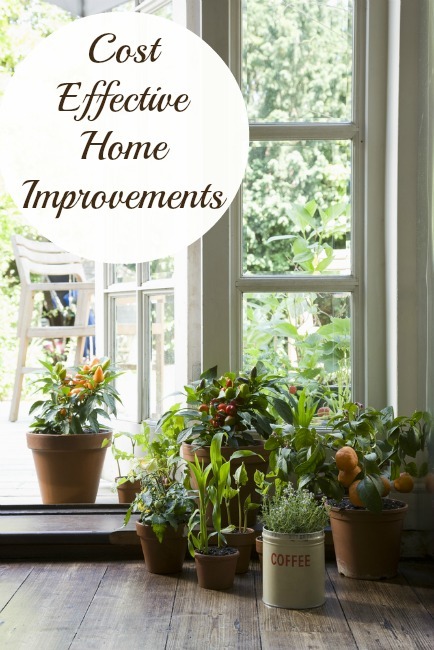 Keep in mind that it’s more important that a person feels better after a renovation.